We are about to go on vacation and I needed to use up some bananas. So I made these 4 Ingredient Banana Coconut Cookies. These were a cinch to make! Less than 20 minutes. This recipe is super easy. Vegan, gluten free and grain free. I used quinoa flakes, so there is a nice protein boost in here as well. If you don’t want to use quinoa flakes, you can always use quick oats in place of them. These cookies freeze great, so make a big batch and freeze some for busy mornings. If you are not a fan of coconut, you can always omit and add more quinoa flakes. If you can’t find quinoa flakes, rolled oats work great as well. However, if you are gluten free, make sure you look for certified gluten free rolled oats. Oat are often cut on the same machines as wheat. I know Bob’s Red Mill makes certified gluten free rolled oats. Quinoa is naturally gluten free. 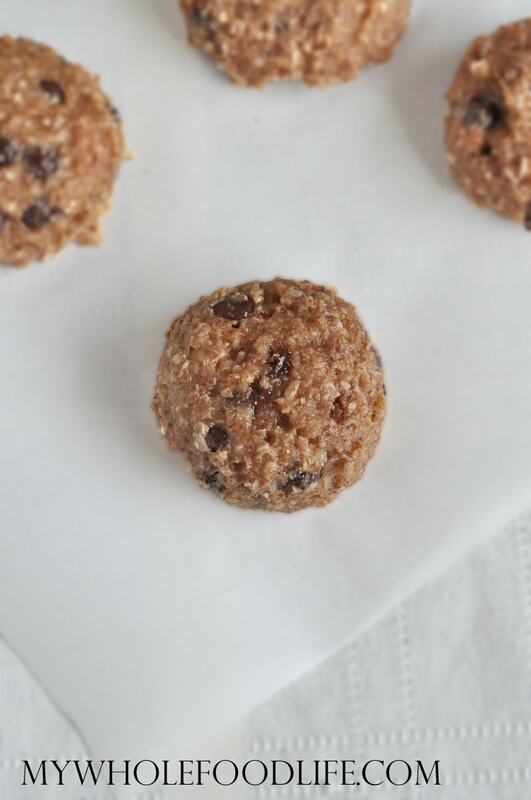 Easy cookie recipe that is healthy enough for breakfast! In a food processor , blend up the bananas to get them started. Then add in the remaining ingredients and mix well. If the mixture looks a little runny, place it in the fridge for about 5 minutes. Using a cookie scoop , drop cookies onto a lined baking sheet . I used a spatula to flatten the cookies a little. Let the cookies cool completely before removing from the cookie sheet. Store in an air tight container in the fridge. They should last several weeks that way. You can also freeze them for longer. Enjoy! Since quinoa is a seed and not a grain, I am going to say yes? I am no expert in paleo diet, though.